The storm will move through Texas on Thursday. 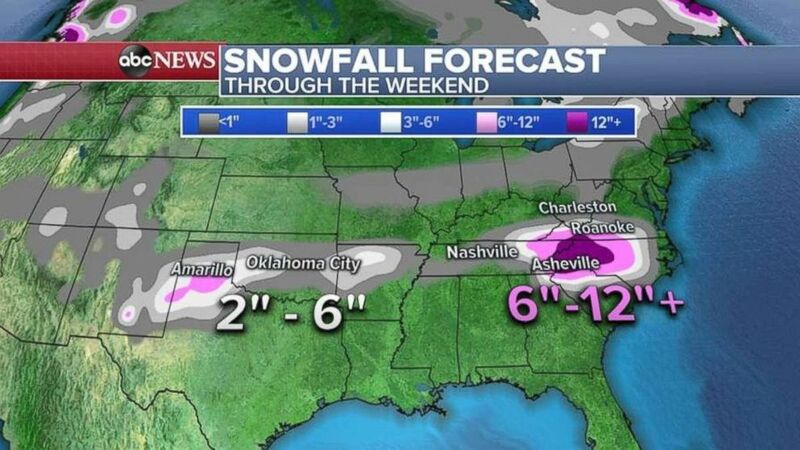 Most of the eastern U.S. is in the grip of wintry weather with cold temperatures and snowfall. The western storm brought more than 2 inches of rain to Southern California and wind gusts to near 70 mph. Also several inches of snow fell in the Southern California mountains Wednesday. 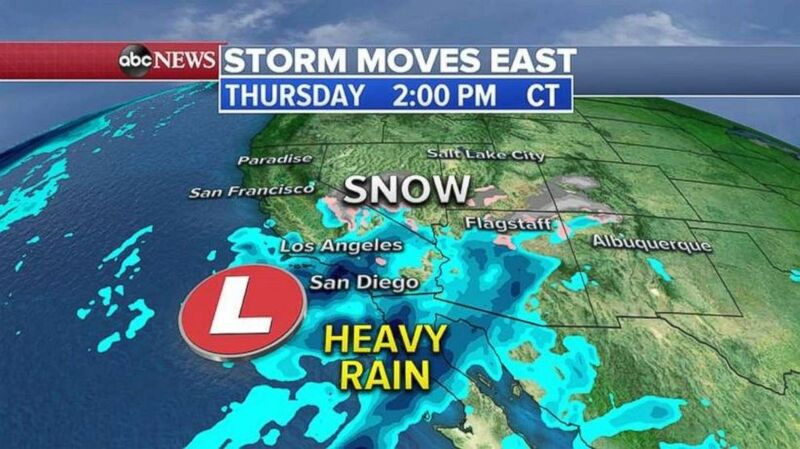 (ABC News) Heavy rain is falling in Southern California on Thursday. By Friday afternoon, the storm system will redevelop in southern Texas and bring with it heavy rain. Heavy snow and ice will break out to the north on Friday night into Saturday morning from the Texas Panhandle to central Oklahoma. 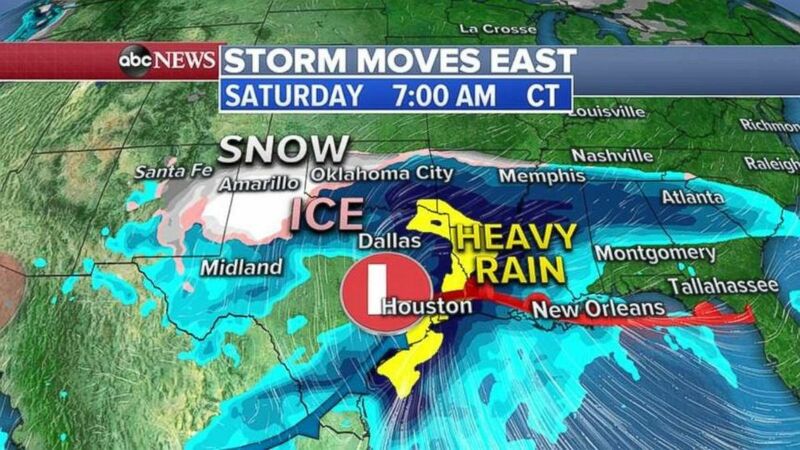 (ABC News) The heavy rain, snow and ice will move into parts of Texas, Oklahoma and the Deep South on Saturday morning. 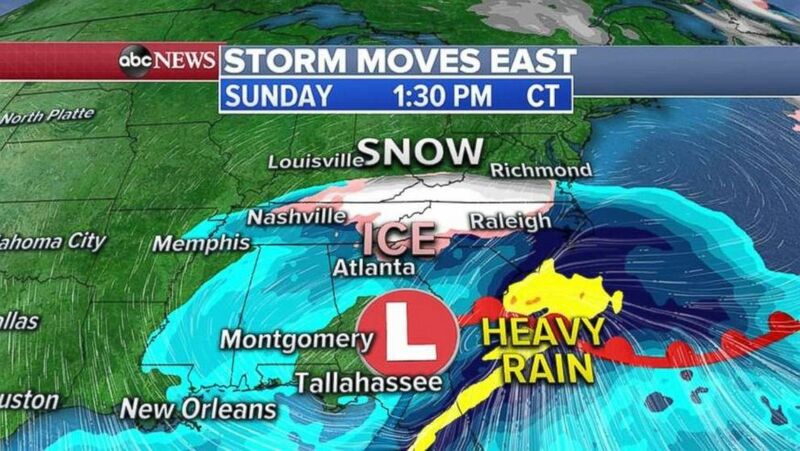 (ABC News) The mixed precipitation moves onto the East Coast on Sunday. (ABC News) Snowfall totals will be highest in the Carolinas, especially in the Appalachian Mountains.